This week the wing item got added in and it works too. Simply tap the middle of the screen to use up the wings when you have it and you’ll slow down your fall. 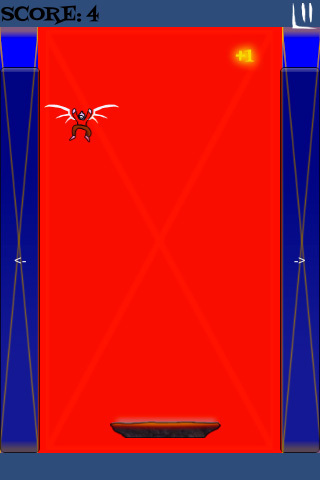 The wings also animate and disappear after use. The platform’s speed is increased by the score and the guy returns back to the top after falling down the hole, resetting everything. I also set up a basic start menu as well as a pause screen. I’ll show those at a later time. What’s next: making the tutorial levels.